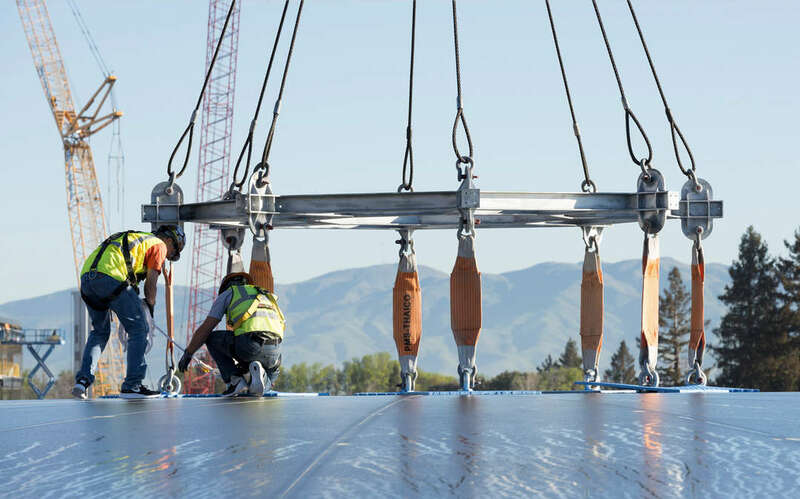 Fascinating photographs of Foster + Partners’ futuristic new Apple campus — currently under construction in Cupertino, California — have been revealed. 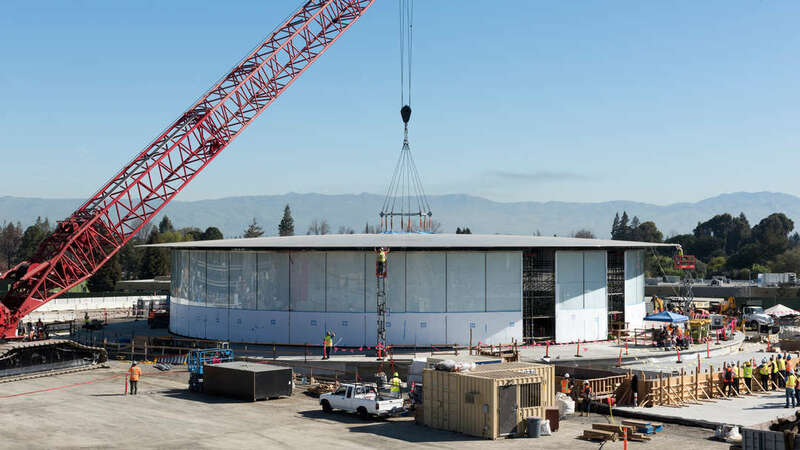 Published by Mashable, the images show building work rapidly progressing on site: glazing and cladding is now being applied to the exterior of the tech giant’s vast, circular structure. 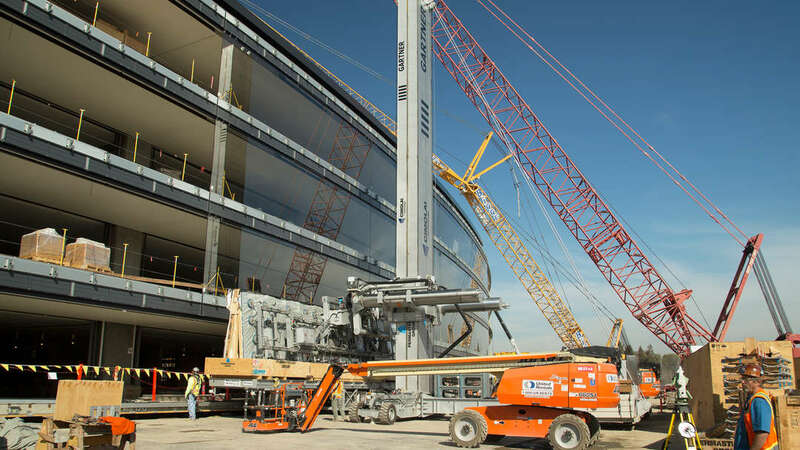 The building is set for completion toward the end of 2016, with Apple’s 12,000 employees scheduled to move in next year. 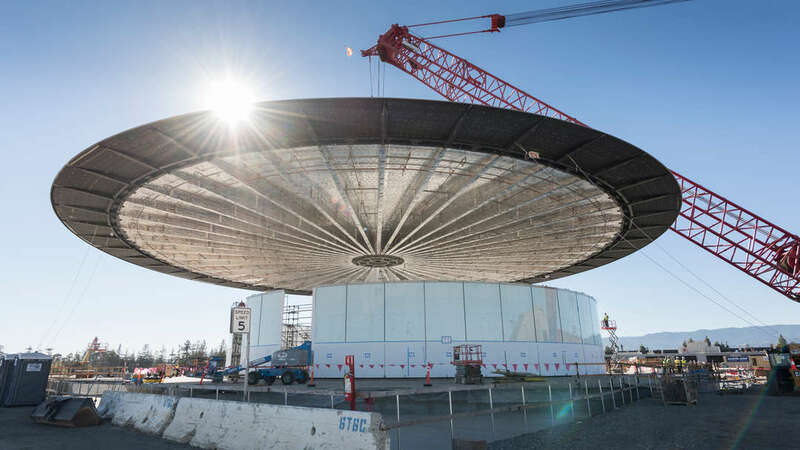 The photographs also highlight the “Theatre,” a 1,000-capacity venue that will host Apple’s famous product launches. Connected to the main building, the subterranean auditorium has been topped by a glass pavilion with a slender carbon-fiber canopy that is characteristic of Foster’s sleek aesthetic. 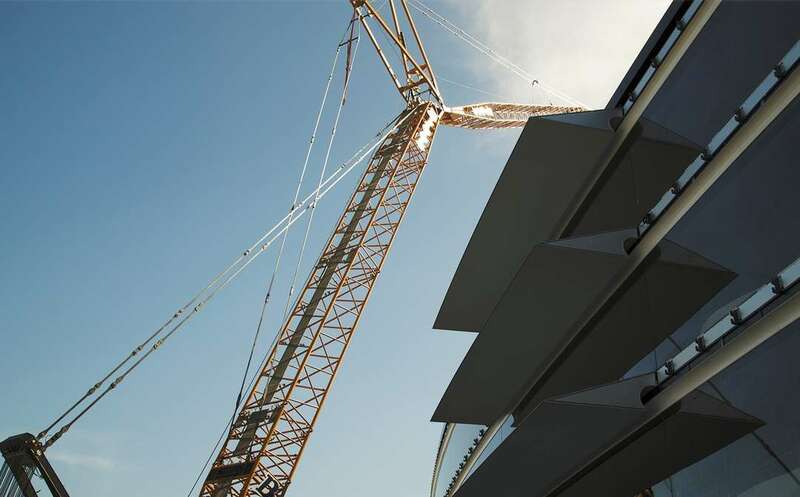 To accompany this insightful set of construction images, we present a rundown of remarkable facts about one of the world’s most technologically advanced buildings. 1. The main campus will incorporate some 2.82 million square feet of flexible office space —6.5 times the size of the Frank Gehry-designed Facebook Headquarters in Palo Alto. 2. The circumference of the main building is more than a mile around, and its diameter is greater than the height of the Empire State Building. 3. 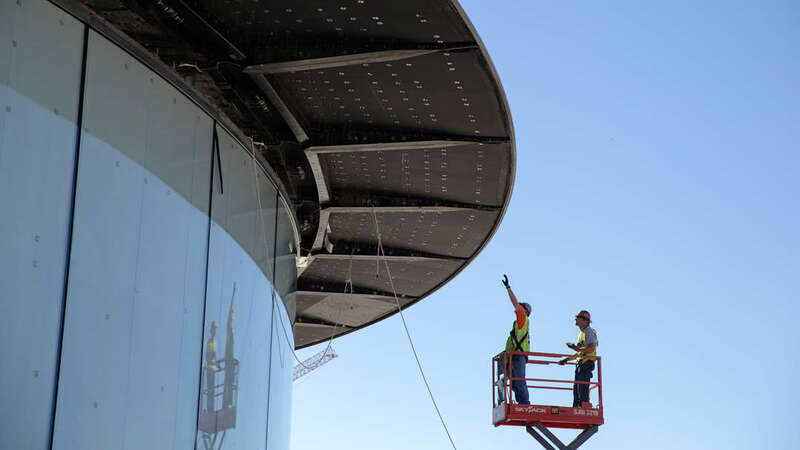 There are almost 3,000 curved glass panels to be installed around the exterior of the building, each one measuring 46 feet long and 10.5 feet wide. 4. 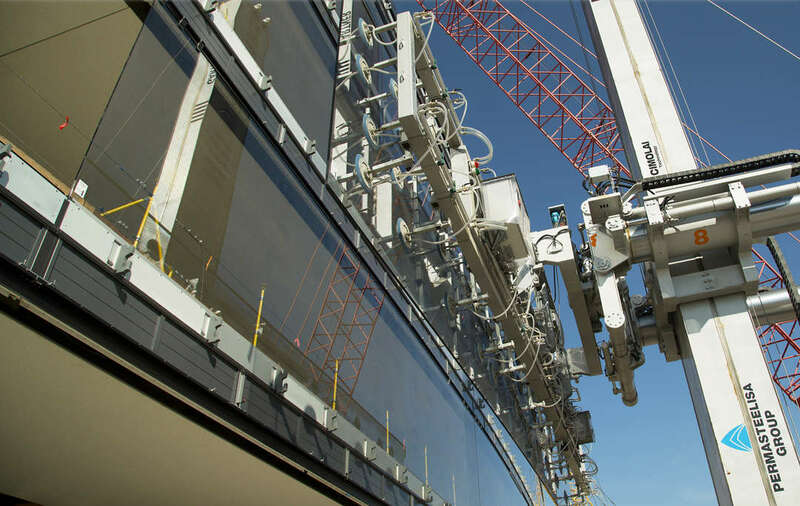 Apple is working with glass specialists seele/sedak, who also helped mastermind the iconic glass cube of New York’s Fifth Avenue Apple Store. 5. The movable glass wall to the staff restaurant will be four stories high and have dimensions of 52 feet by 92 feet — about the size of a basketball court. 6. 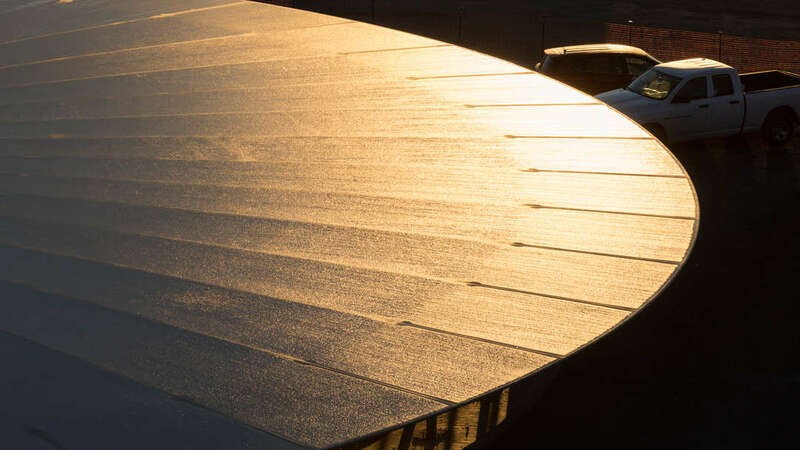 The circular roof of the “Theatre” is the largest freestanding carbon-fiber roof ever made, measuring 140 feet in diameter and weighing 80 tons. 7. Staff amenities include a 100,000-square-foot fitness center located in a separate structure alongside the main building. 8. Nearly 11,000 parking spaces have been incorporated, mostly housed within two garages covered with 700,000 square feet of solar panels. 9. The campus is incredibly green. On completion, over 80 percent of the site area will be landscape. 10. 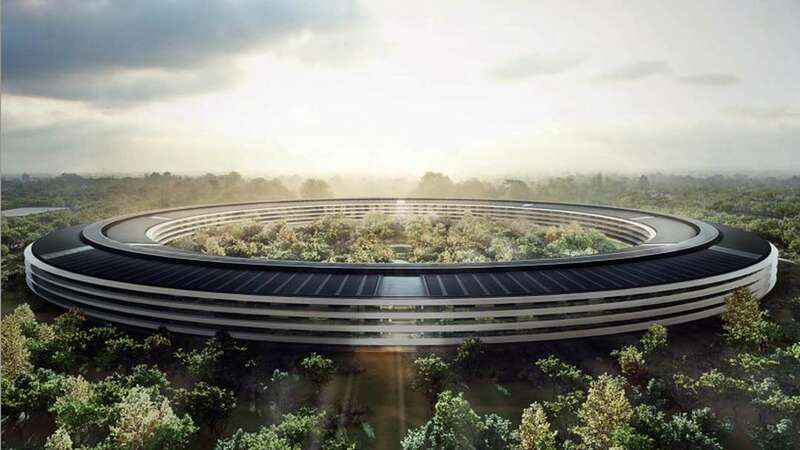 To realize the building, Foster + Partners is collaborating with design firms, material suppliers and product manufacturers from 19 different countries.